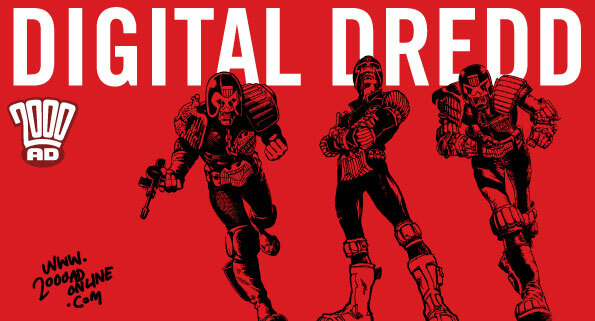 Almost three decades of Dredd are available worldwide and ready to download right now on iPad, iPhone, and iPod Touch. Retailing at £9.99 or $13.99 (or currency of your choice!) each, these chunky volumes reprint every Judge Dredd story from 2000AD and the Judge Dredd Megazine in order. They’re the perfect way for readers to discover the classics from Britain’s most famous comic book character – and it also allows readers worldwide to buy volumes not yet available outside the UK! To mark the occasion, we’re pleased to offer you a free 20-page preview of Dredd classics from 30 years of the lawman of the future! This superb preview includes the stories ‘Punks Rule’ by John Wagner & Brian Bolland, ‘The Suspect’ by John Wagner, Alan Grant & Cam Kennedy, ‘Talkback’ by Garth Ennis & Glenn Fabry and ‘Mechanismo part 1’ by John Wagner & Colin McNeil. The Case Files, of which 150,000 print copies have been sold globally, feature work by the biggest names in the British comic book industry including John Wagner, Grant Morrison, Garth Ennis, Dave Gibbons, Mark Millar, Brian Bolland, Carlos Ezquerra, Mick McMahon, Alan Grant, John Smith, Brendan McCarthy, Garry Leach and many more. Volumes 1-20 are available to download now with Volume 21 in the continuing series out next month with more volumes are scheduled for regular release in the future and you can download the iPad app here. « News: Sequential offer Terry Wiley’s Verity Fair for the bargain price of 69p/99¢	» News: Bath Comic and Sci-fi Weekender coming soon – great promo video!